I missed last month’s ñoquis del 29 post due to technical difficulties. 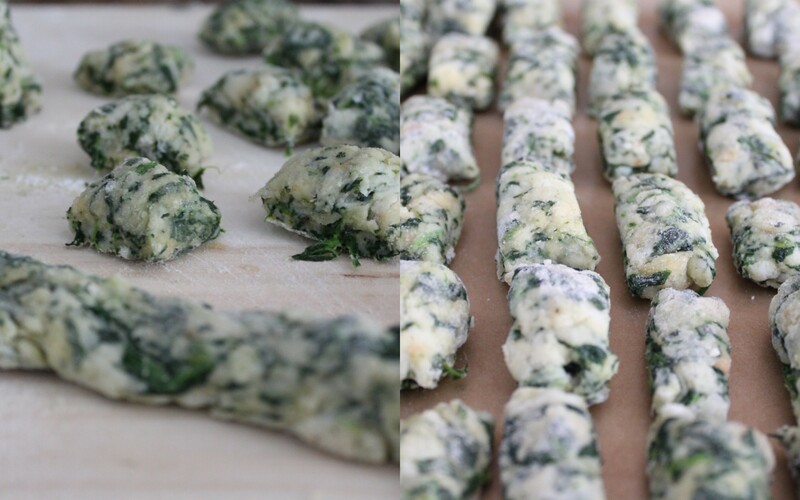 I was in the middle of trying this recipe for bread and spinach gnocchi for the first time when a friend called after months of phone tag. Thirty minutes later, we’d finally caught up but I had a too soft mass of spinach flecked dough looking despondent in a mixing bowl. Having mis-measured, I made some adjustments so that they could be shaped but wasn’t hopeful that they’d stand up to boiling water. They did and while they weren’t perfect, they weren’t bad – doughy dumplings filled with spinach and cheese that would have been light except for the extra flour I had to throw in for a last minute fix. If they were this good when they’d gone wrong, I had to make another attempt at getting it right. Free of distractions, I tried again. I tore the bread into tiny pieces to form a smoother dough and was careful to remove any excess water from the cooked spinach. This time they came together without a problem. The directions were there in black and white, I only needed to pay attention. 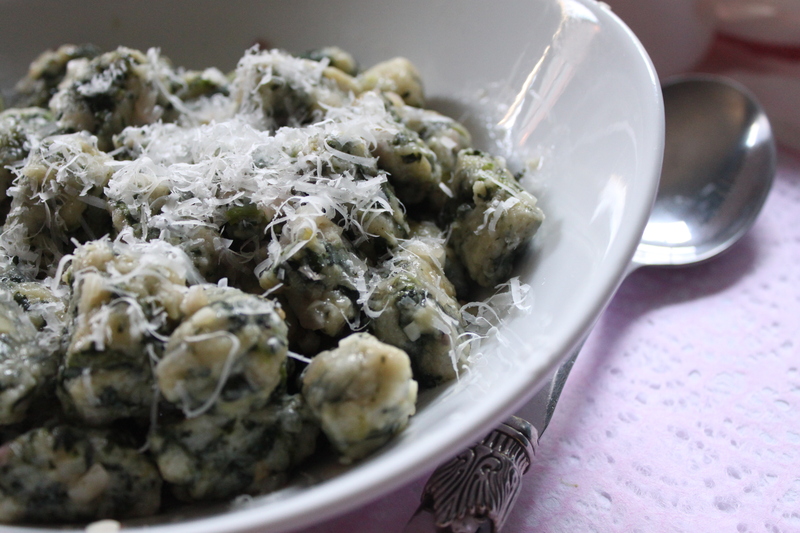 Gnocchi are supposed to bring you luck at the end of the month but making your own luck still takes a little effort. Adapted from Phaidon’s The Silver Spoon. I wanted to find a summer gnocchi recipe that was an alternative to roasting potatoes in a heat wave. Surrounded by Italians bakeries, this was the perfect choice. Instead of roasting or boiling, I only had to tear the bread and let it soak up the milk. Though rustic and not as smooth as other doughs, the spinach flavor really came through. Place the bread in a large bowl and add the milk. Set aside until completely absorbed. 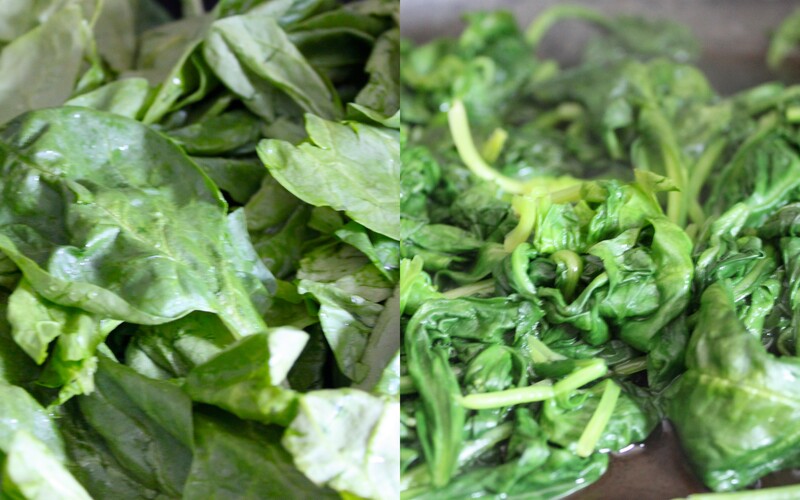 In a large skillet, cook the spinach in just the water clinging to the leaves from washing until tender, about five minutes. Drain and squeeze to remove as much water as possible then chop. Melt 1 1/2 tablespoons of butter in the skillet over medium heat. Add the spinach and 1/2 cup of cheese and cook, stirring frequently, about 5 minutes. Remove from heat and stir into the bread mixture. Stir in the eggs and then the flour, a 1/4 cup at a time, until a soft dough forms (a small piece should hold its shape). Dust top lightly with some flour. Cover with plastic wrap and refrigerate until very cold, at least one hour. Divide dough into 6-8 portions. Form 1 piece of dough into a 1/2-inch-thick rope on a lightly floured surface. Cut rope into 1/2-inch pieces. Repeat with remaining dough (see note). Melt 1/4 cup of butter in a heavy skillet over medium-low heat. Add shallots and sauté until soft and translucent, about 3 minutes. Add garlic and continue to cook about 2 more minutes. Bring a large pot of salted water to a boil. Add the gnocchi and boil until they rise to the surface, 1 to 2 minutes. Use a slotted spoon to transfer them to the skillet with the shallots and gently mix until evenly coated. Warm over low heat if needed. Transfer to serving dish sprinkle with remaining 1/2 cup of cheese, mix gently and serve. Note: At this point, the uncooked gnocchi can be frozen for later use, first in 1 layer on a baking sheet, then transferred to a sealable bag up to 1 month. Do not thaw before cooking. 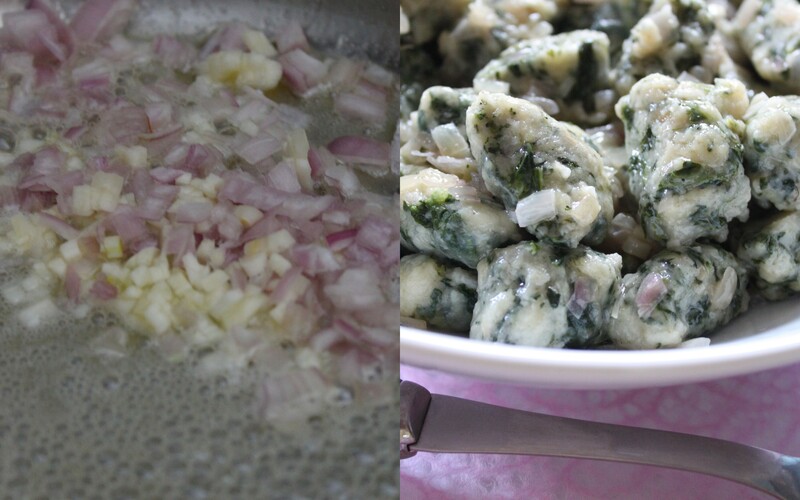 Butter sauce can be halved; make full recipe of gnocchi and freeze half of it. These would probably my favorites. I love the green flecks. Makes these look so fancy. 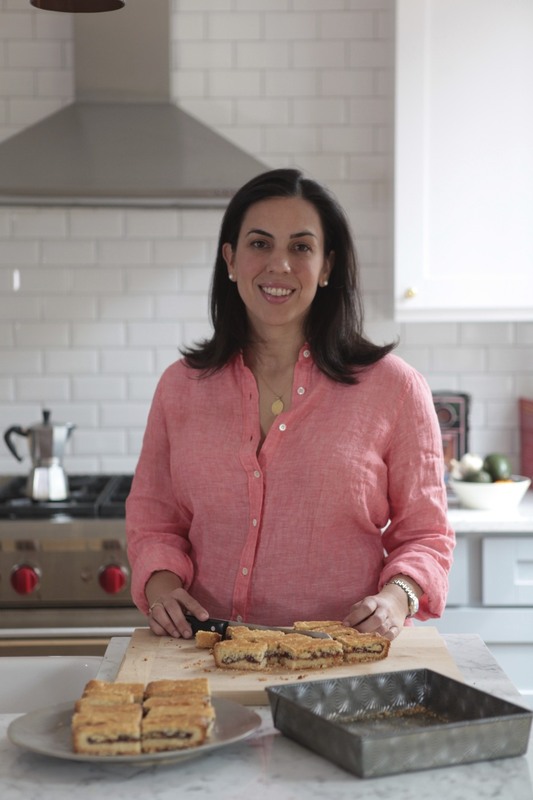 The pictures are mouth-watering….I have to try this recipe before summer is over. These sound so much better than the store bought ones I normally have! The Spinach flavor in this is incredible. i think i might even try these! too good-looking not to at least try. Can’t wait to try this. Seems delicious!